Liechtenstein's Tierschutzverein, the society for the prevention of cruelty to animals, celebrated its 70th anniversary yesterday and Hereditary Princess Sophie was on hand to celebrate with them. 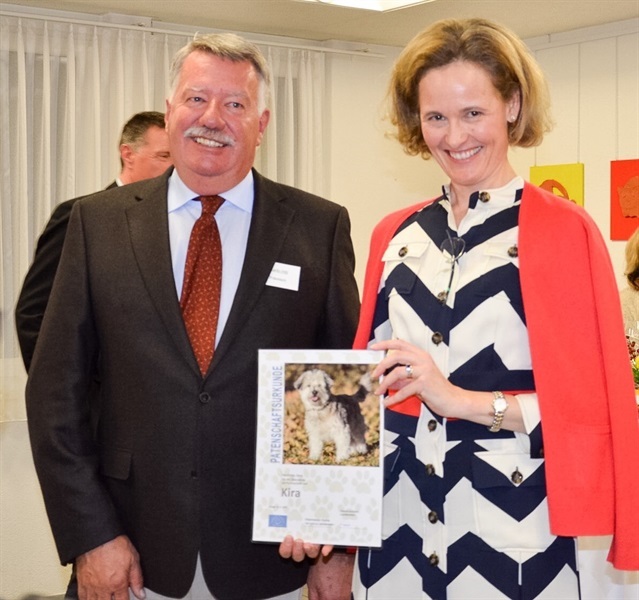 During the event, which took place in Schaan, the Hereditary Princess didn't only become the new patron of the organisation, she was also made godmother of Kira, a very cute dog. And it looks like it was love at first sight on both sides. The Principality's society for the prevention of cruelty to animals, which also manages an animal shelter, was founded on October 7, 1945, by Olga Frommelt against all odds. At the time, many believed an animal rights organisation to be superfluous. Something that has thankfully changed during the seven decades since.